As well as analytical testing and customer product development, H&T Presspart’s Inhalation Product Technology Centre (IPTC) also has the ability to provide customer’s with a new device development service. Our IPTC has the facilities to support our customers with the development of new metered-dose inhaler devices or dry powder inhaler devices. 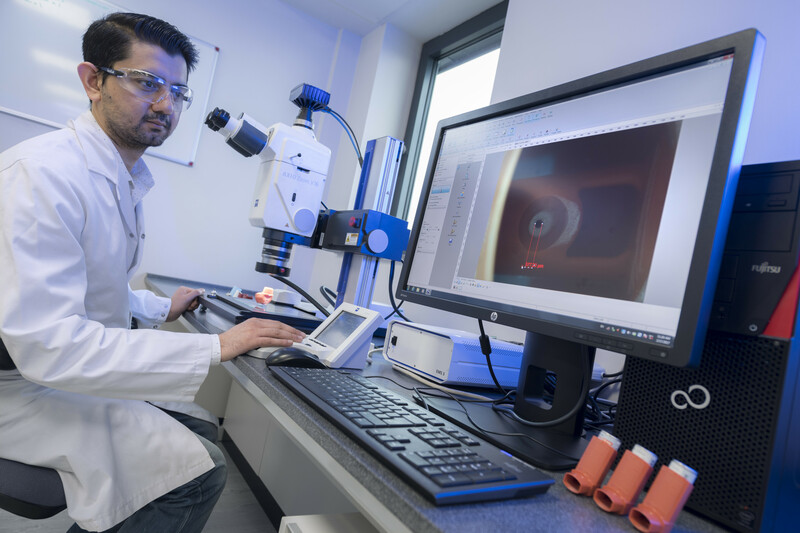 As well as a small filling capacity for MDI’s and DPI’s, our Inhalation Product Technology Centre can support the development of new devices with a range of tests including in-vitro characterisation analysis.